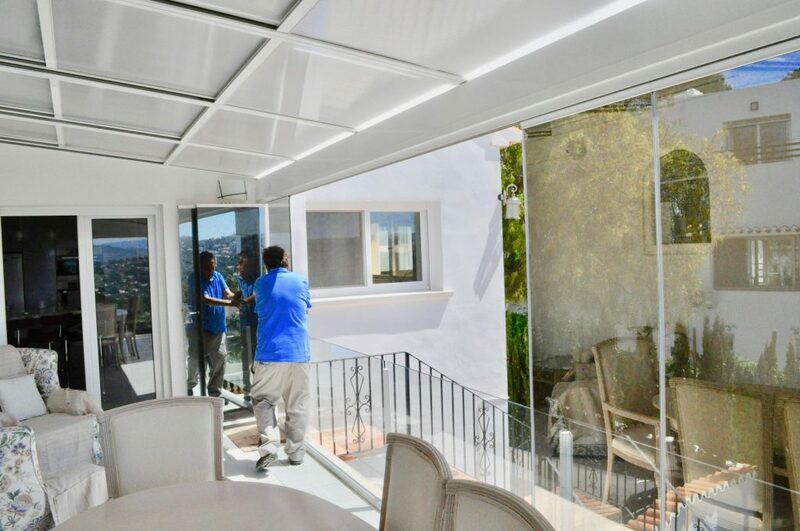 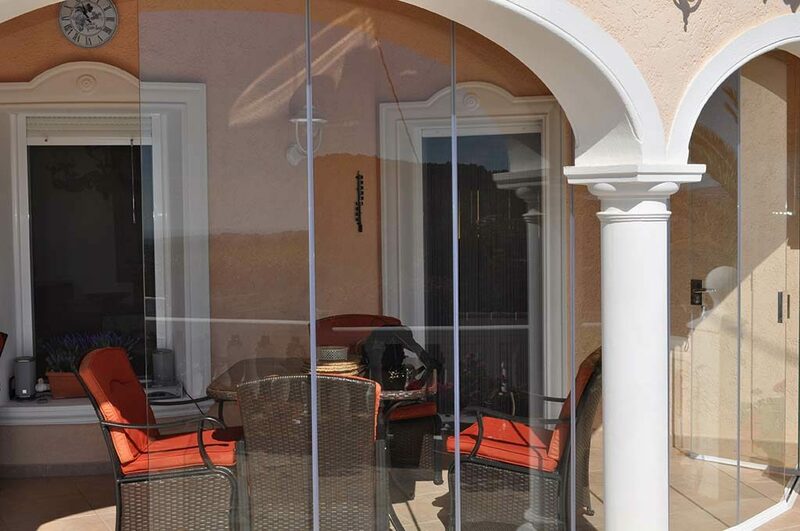 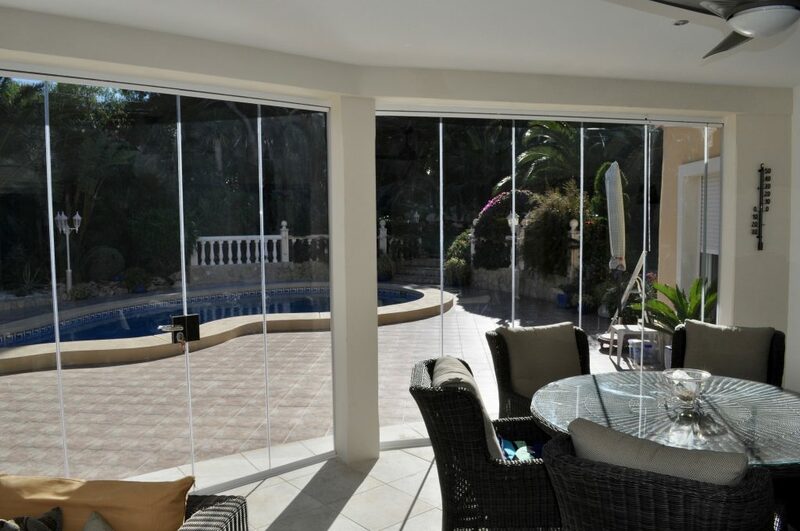 Glass curtains are the perfect solution if you would like to enclose your terrace whilst retaining the view. 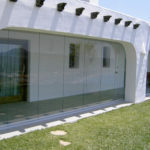 Crystal Windows now manufacture glass curtains on the premises, ensuring complete control over your purchase. 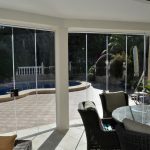 Glass curtains are safety glass panels about 400x800mm wide that come together to cover an aperture, arched or square, usually in a naya or a terrace. 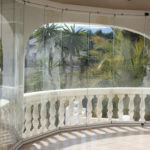 These glass leaves glide horizontally within tracks top and bottom until they reach the end of the run, when they swing out to stack at 90 degrees (or a little more) to the track. 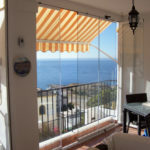 There are no vertical frame members, so there is nothing to obscure your view of the mountains, the valleys or the sea whether they are open or closed. 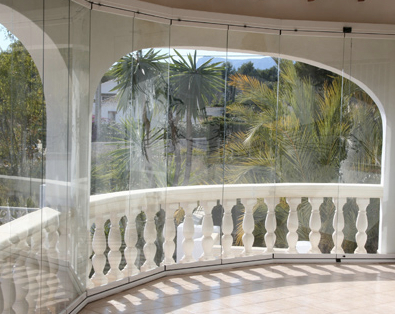 When they are closed, all you see is the view beyond. 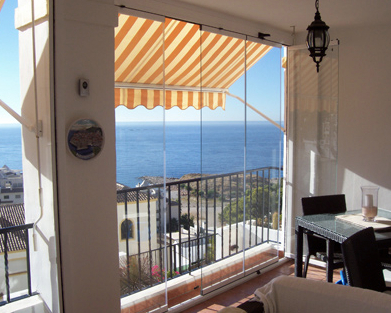 When they are open, the same thing, as there is nothing to spoil the view – it’s all at the sides. 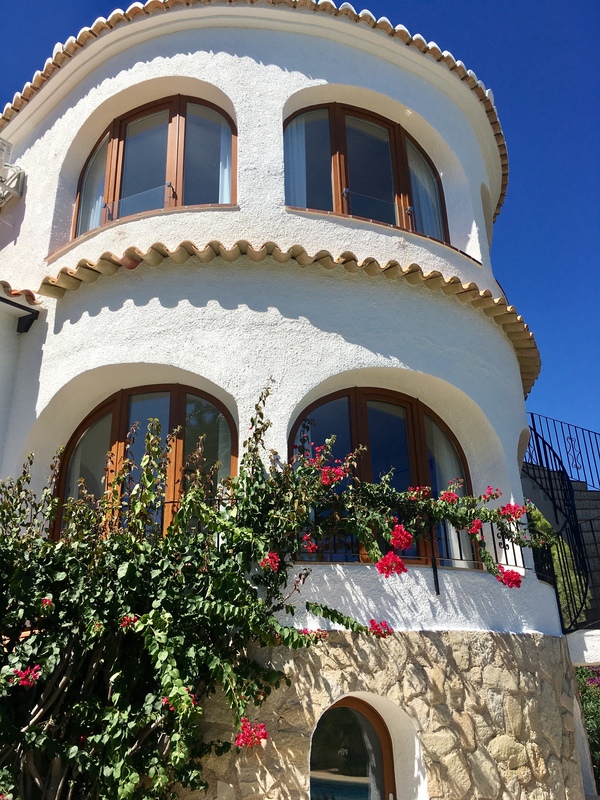 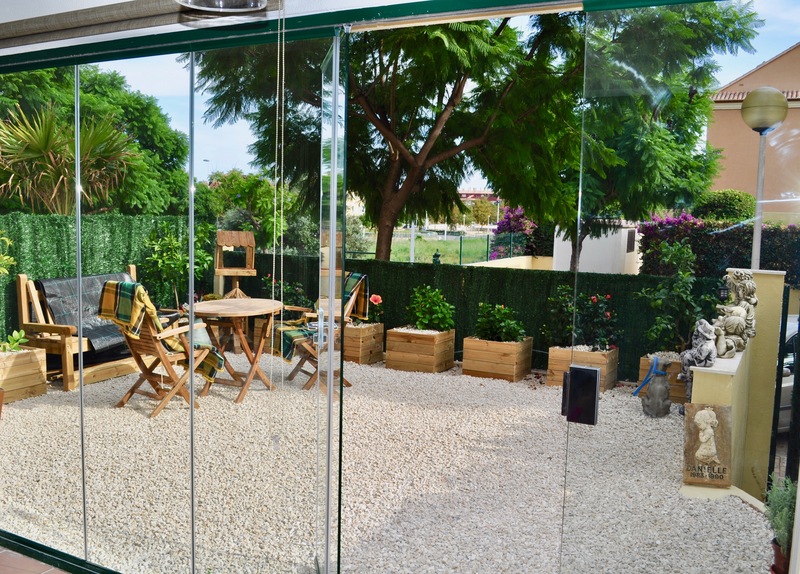 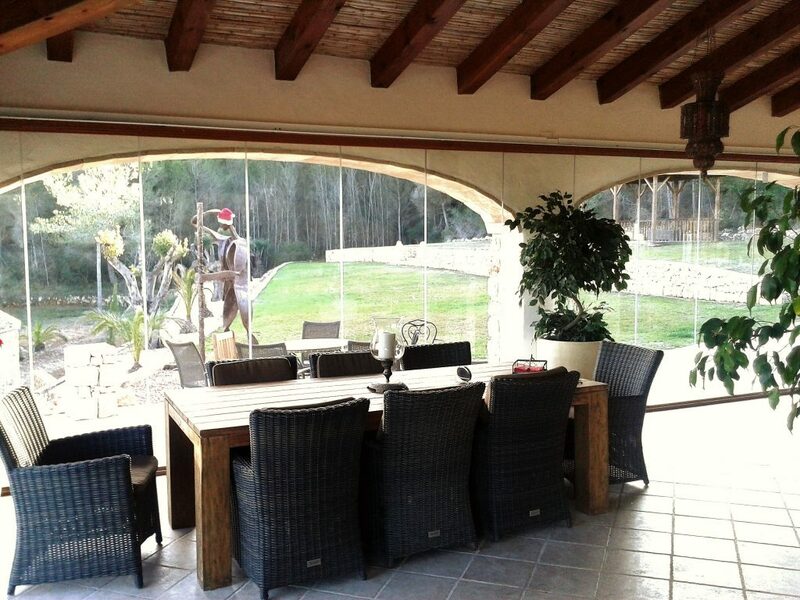 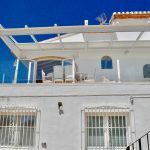 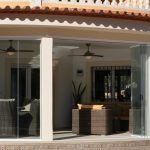 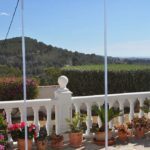 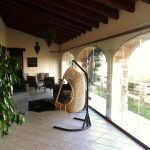 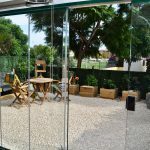 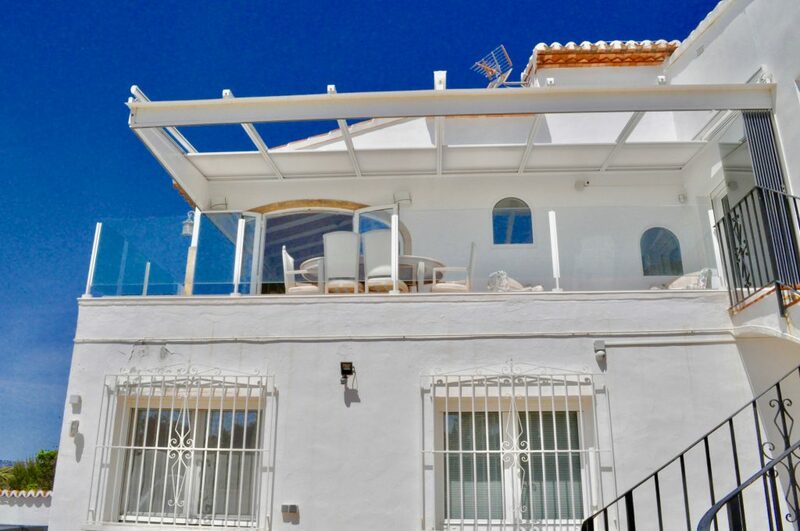 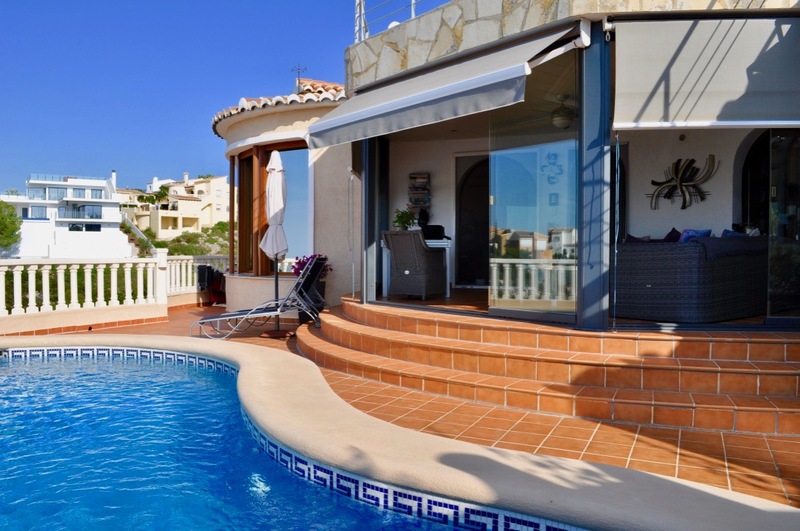 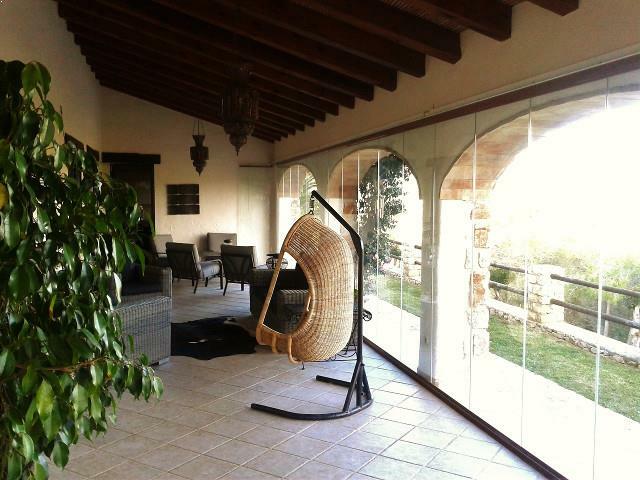 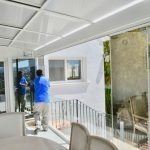 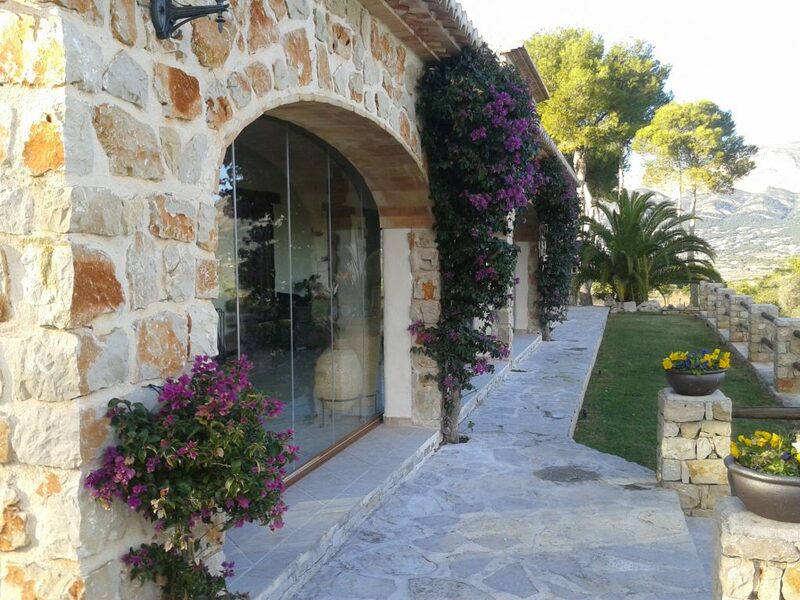 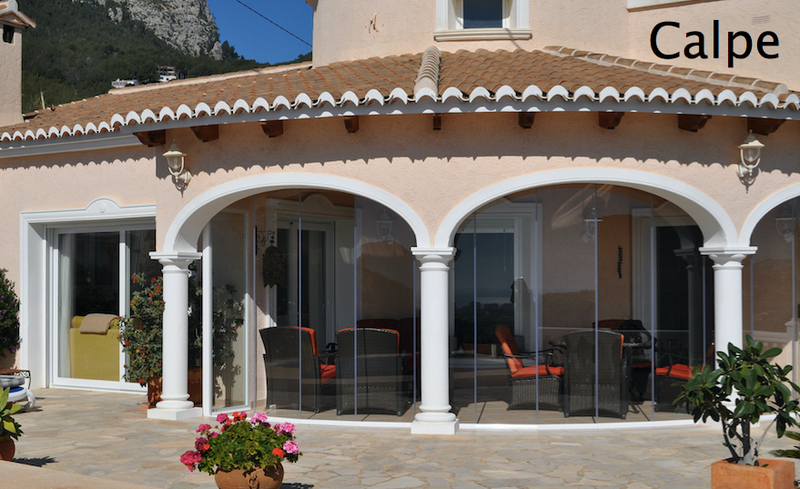 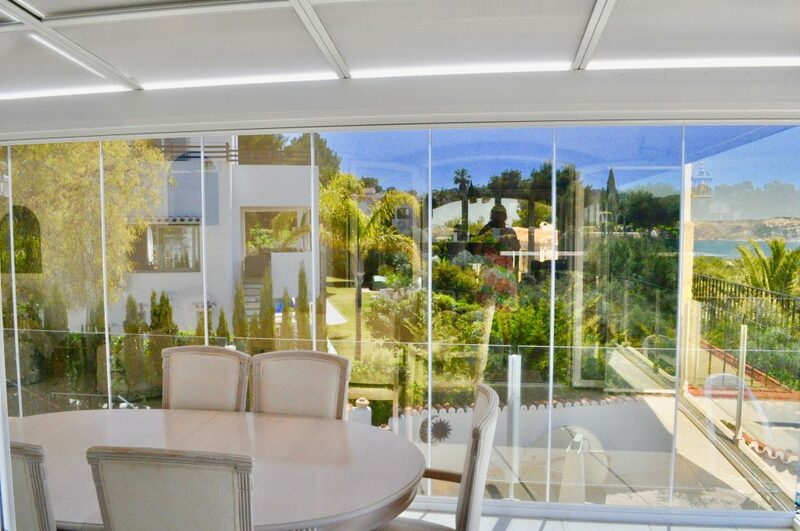 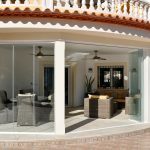 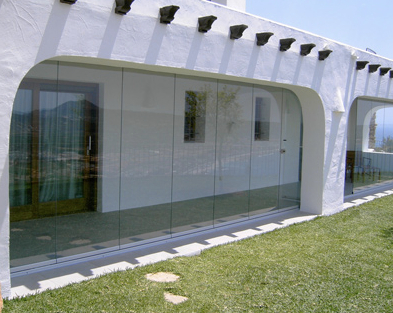 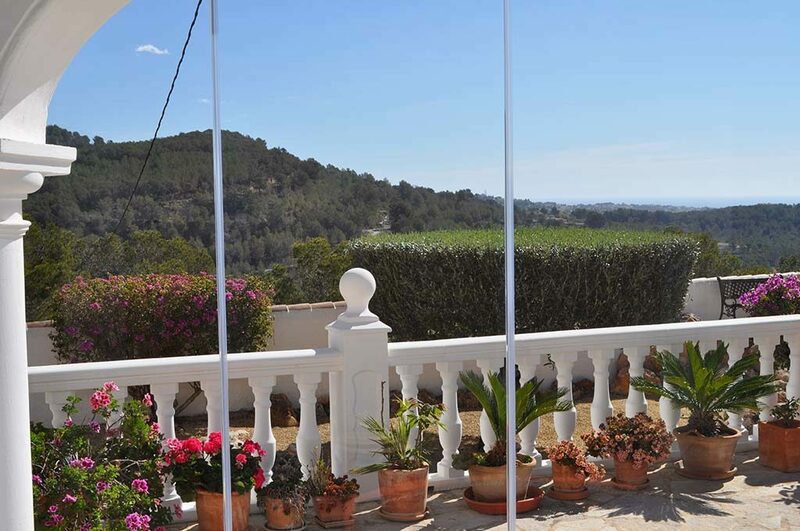 Glass curtains are a relatively new concept in Spain. 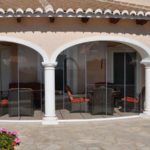 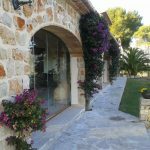 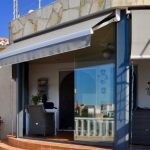 They are a fantastic solution to any breezy terrace, outside, rooved terrace or can be used to protect an area that is cold in the winter time. 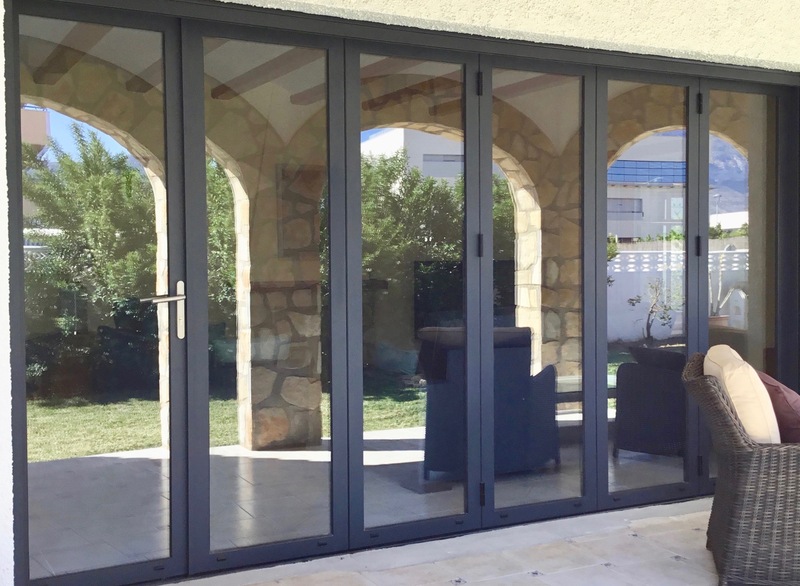 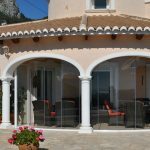 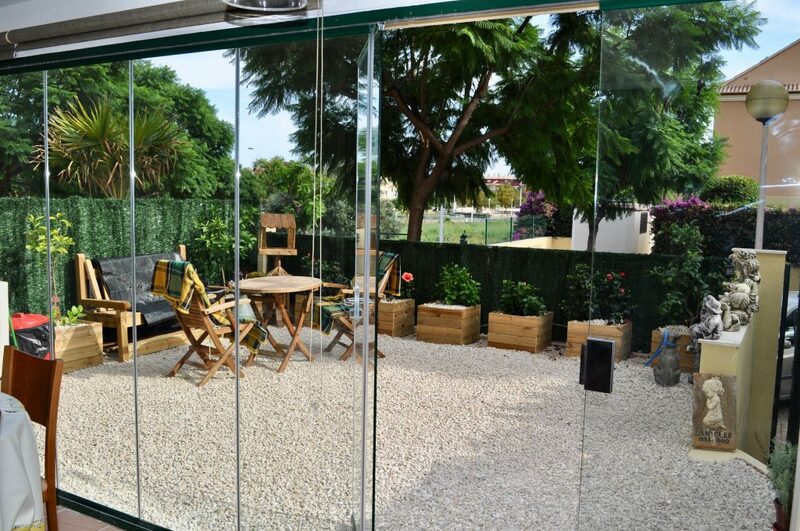 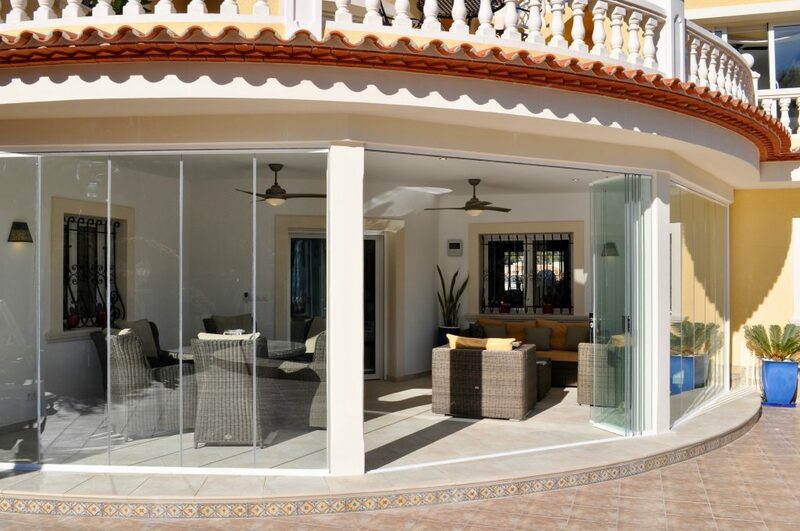 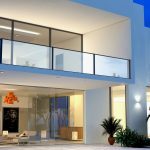 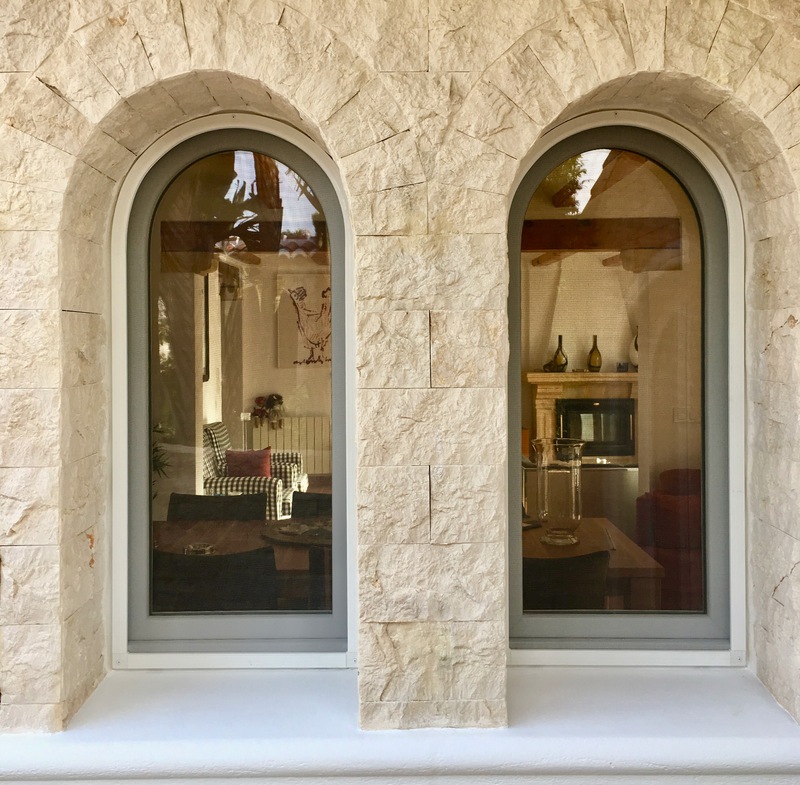 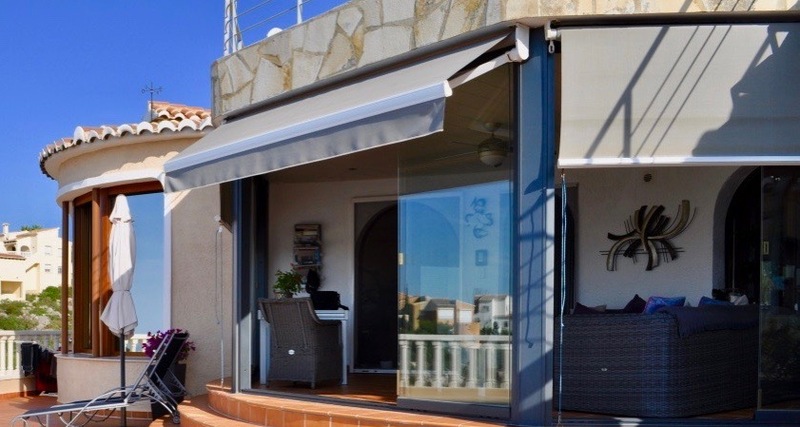 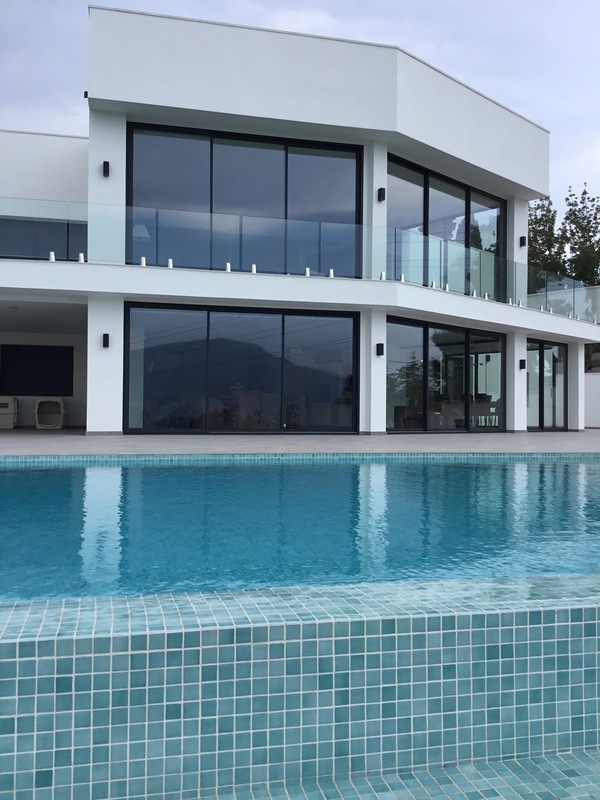 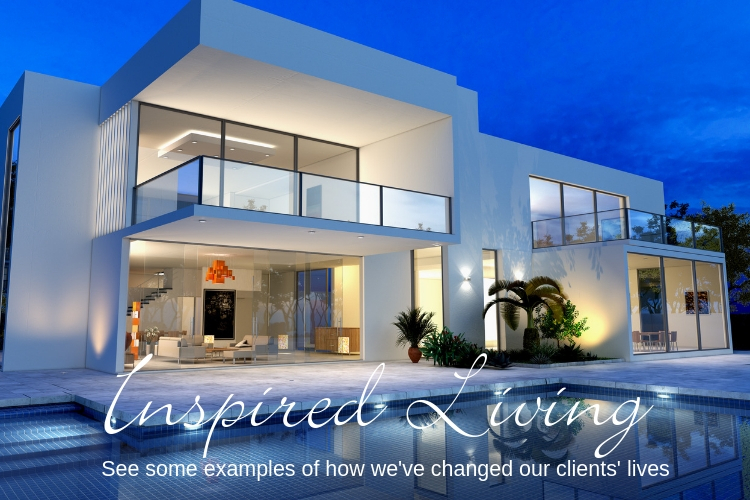 We wouldn’t recommend the use of glass curtains as an alternative to folding doors on an outside wall between the house the terrace, because they are not fully water tight and do have the same robust properties that folding doors have. 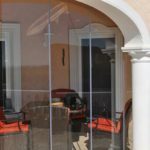 To make sure that they panes fit well, measurement of the glass is so precise that we have less than 1mm margin. 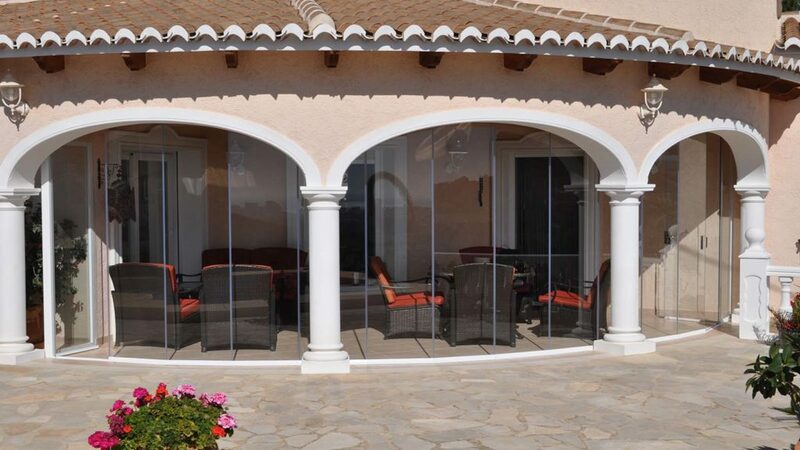 The panes are put together and left for 5 days before the sliding mechanisms are fitted. 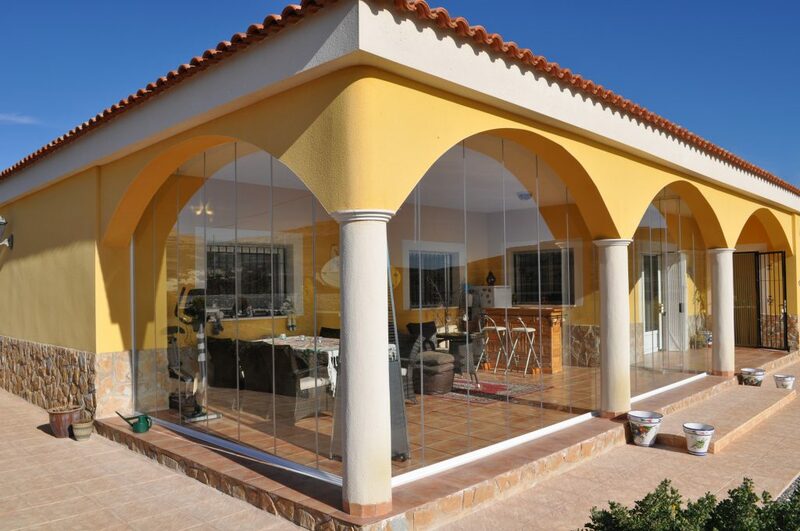 It’s a very precise procedure which requires complete concentration and expertise. 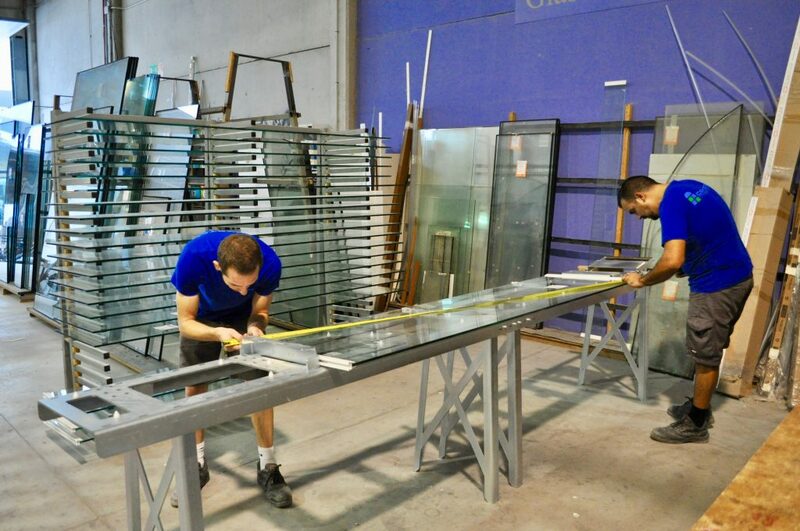 The above image shows Juan and Antonio Serra working together on your glass curtains.